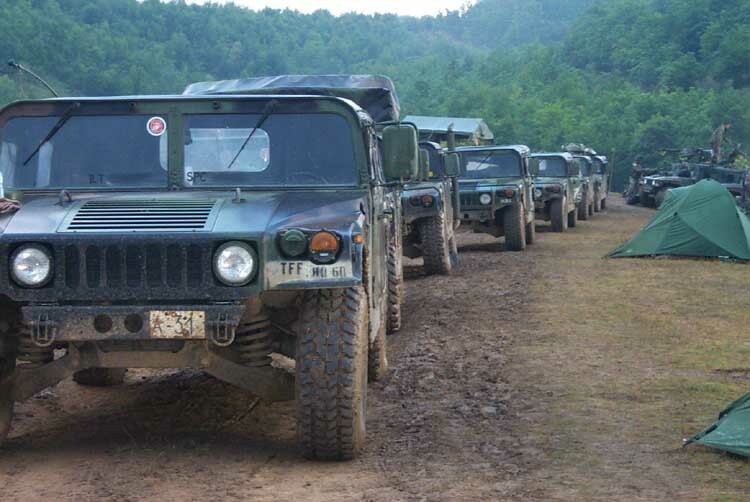 Kosovo, Serbia (July 30, 2002) A column of HUMVEEs await another day of rolling patrols in the mountains near the border of Macedonia as Golf Company 2/25 continues their anti-smuggling operation. Photo by MSgt. Phil Mehringer.